Bass Bottom Feeder: IWABO, Sylosis, AILD, Oh My! Tonight I will not forget my ear plugs. It seems like it's either feast or famine with the concerts, and right now it's feast time. 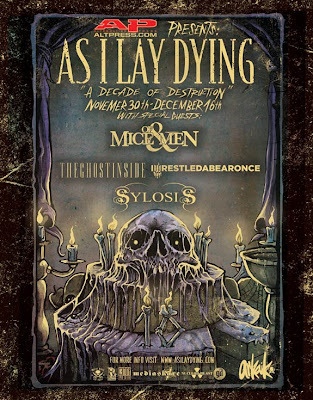 I've seen As I Lay Dying before and they put on a great live show. Sylosis is a band I've been getting into recently, and I'm anxious to see how they do on stage. 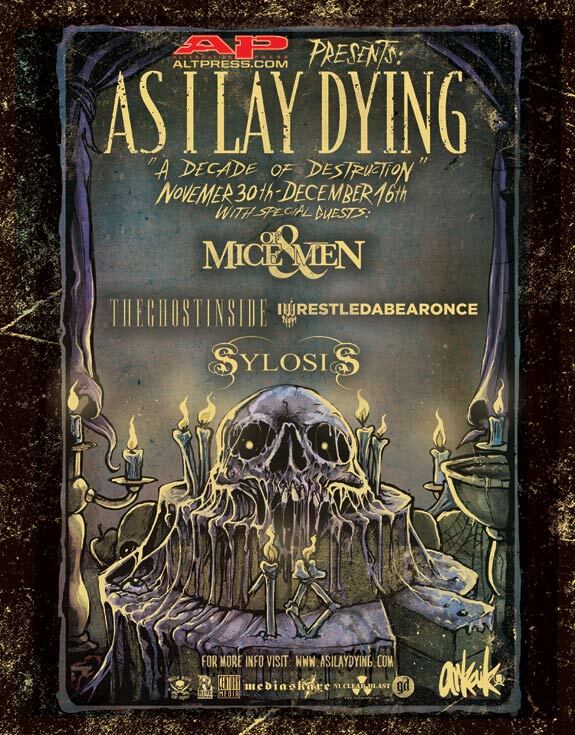 The headliner as far as I'm concerned is Iwrestledabearonce. Love 'em. I saw them headline an all ages show, and in addition to making me feel very old, made me like IWABO even more. Mice & Men and The Ghost Inside are unknown to me, but hopefully they will make a better impression on me than Dillinger Escape Plan did last week. Note to self: no chain wallet. Another note to self: learn how to take better pictures.